After Health Care Defeat, Everyone Is Smarter than Trump. Oh, Really? 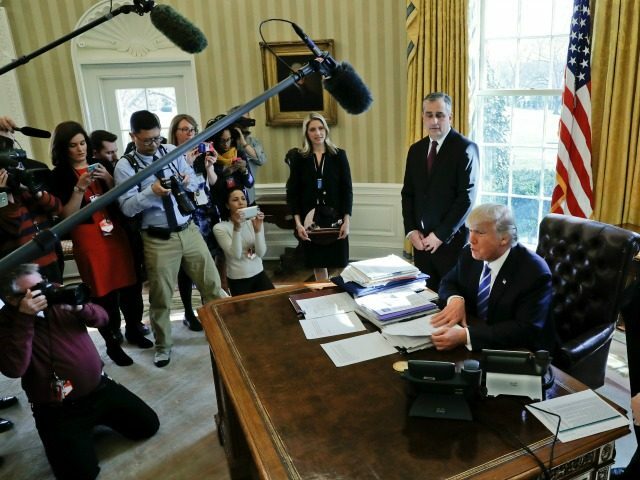 The Beltway consensus is that President Donald Trump lost so badly by pulling the American Health Care Act last Friday that he has permanently crippled his presidency. He may not achieve anything in his first 100 days (as if he hasn’t already); he may not even last a full term. You don’t have to believe that Trump plays 3-D chess like a savant to understand that these conclusions are premature, self-serving (especially for NeverTrumpers eager to seize on any stumble), and perhaps wrong. The fact is that the House Republican bill had to fail for Trump to fulfill his promise of repealing and replacing Obamacare. And there may even be one or two more failures to come. The reason is simple, and derives from the fact that all of the main political factions on Capitol Hill have believed, until now, that they have no reason to negotiate. Democrats cut Republicans out of Obamacare; House Republican ignored Democrats this year; the House Freedom Caucus refused a deal with Trump. Unless Senate Republicans remove the filibuster for ordinary legislation — and that seems unlikely — it will be necessary to negotiate among all of these factions to produce a final agreement. But first the factions actually have to understand that they cannot go it alone. In negotiation terms, their BATNA — their “best alternative to a negotiated agreement” — must be made intolerable. Trump describes a similar approach in The Art of the Deal. He is slowly making it harder for everyone to refuse. House Republican leaders now understand that if they fail to reach a deal, they could be replaced, or their party may even lose in 2018. The conservatives of the Freedom Caucus has yet to see their proposals lead debate — and they should — but Trump and moderate Republicans are making it clear that they will be blamed if no legislation passes. Democrats are content to watch for now — but if they refuse to talk, they will lose the best chance to save remnants of Obamacare, a dying policy. As more people receive premium increases, or lose their insurance coverage, in 2017, pressure will grow on Congress and the White House alike. The anti-war agitation that brought Democrats to power in 2006, and the Tea Party movement that helped Republicans take the House in 2010, might be replaced by anti-incumbent fervor all around. November 2018 will concentrate minds. Deal-making isn’t rocket science, or 3-D chess. Sometimes you simply lose a round to win in the end.